When I went to my first gig, on 3rd March 1974, Queen at The Blackpool Opera House, I realised that music and I had a special relationship. OK, I followed this up with Slade and David Essex, but in 1977 I found my true and eternal musical base…..punk. My first job was as a record salesman at Cobweb Records in Cleveleys near Blackpool. 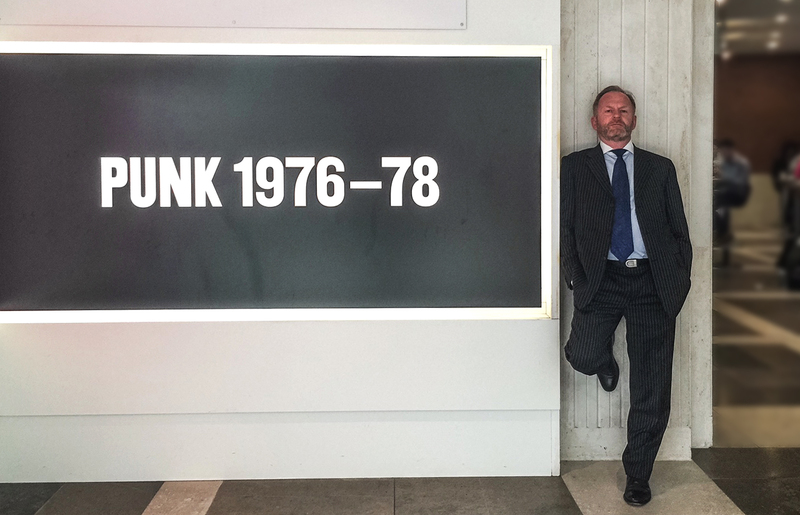 In 1977 I was asked, with a friend, to set up a punk department, a task which I pursued with relish. At the same time I was studying law in Liverpool and became a member of Eric’s….the world’s greatest musical venue. It would be easier to list the bands that I did not see there than those I did. When I saw The Stranglers there on my 18th birthday, there was no going back. My interest in photography developed much later, but you will see on this site, a few snaps I took of the greatest band that ever set foot on this earth, The Clash. This was at Monteray California in the September of 79.